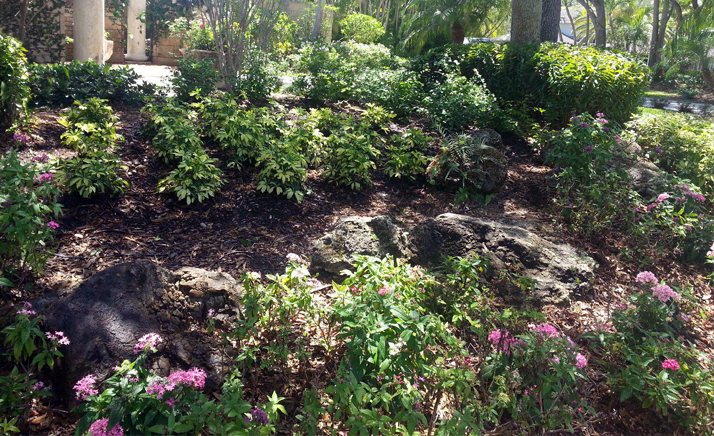 Mulch and River rock are great ways to improve your landscape projects. River Rock has a higher cost than mulch but it lasts longer instead of mulch, which is reapplied yearly. 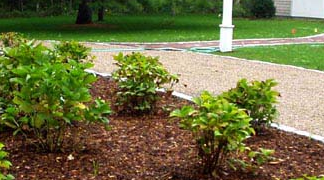 Wood mulch is more inexpensive by the yard and can cover a greater area for the money. Although it must be reapplied, it constantly adds organic matter and minerals to the soil, and can be left as is when changes are made in the garden. 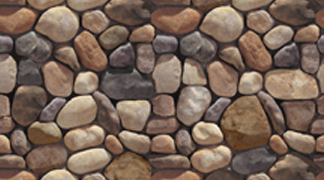 River rock looks great in dry or desert gardens, or in dry riverbeds. For areas with foot traffic, smaller rocks compact slightly, making walking easier. Rocks are helpful in areas with strong wind. In lush gardens with abundant, layered plants, wood mulch is a natural-looking material that aids these plants with drainage and water retention. In these type gardens, small areas of rock could complement the natural bark mulch around plants.